The name Stinchcombe is said to mean Stony Hollow. The first evidence of man is the Iron Age fort or look out post on Drakestone Point where traces of early pit dwellings have been found. During Roman times, a road ran from Chavenage to the river Severn via Stancombe. 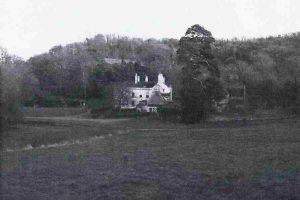 Evidence of two Roman Villas has been found in the grounds of Stancombe House. One was quite extensive with a suit of heated rooms and a tessellated pavement. The Berkeley manuscripts mention a chapel at Stinchcome in 1156 but none of this remains above ground. 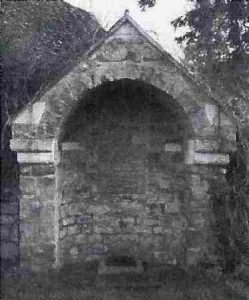 One of the earliest recorded Lords of the Manor of Stinchcombe was a woman, Agnes de Bradeston, in AD 1370. Her husband, Thomas, who died in 1386, held the Manor in fee to Thomas, Lord Berkeley. Her son, also Thomas, inherited the Manor. During the civil war, Stinchcombe was a divided village. Prince Rupert was said to have stayed at Piers Court whereas Lamport Court was a safe house for the Puritans, indicated by the pollarded Lime trees. An ancient suit of armour was found in the cellar of Lamport Court but has since disappeared. In 1645, Prince Rupert put 40 soldiers of the parliament army to the sword. This became known as the Stinchcombe Quarter. After the Civil War, many customs and traditions died out under the government of the Puritans. One of these was the Stinchcombe Revels which took place on an area called blu meade (in the area of the present day Stinchcombe Manor residential Home) on the second Sunday after the feast of Pentecost; a place where the younger sort of both sexes accustomed in the afternoon of that day to meete from the Townships adjoin-nge to dance, leape, wrestle, and disport themselves until evening. (Source: Sutton Alan and Hudson, Alan Sutton on Publishing, pp.44/88. In 1812, John Wallington, the then Lord of the Manor living at Piers court, was in dispute with the Berkeley family who refused to accept the existence of a Manor of Stinchcombe. Judgement was made in favour of John Wallington. In 1834, the Rev Sir George Prevost bought the Lordship of the Manor from Wallington and built a new Manor House in 1835. He also built the vicarage and the school and school house. In 1854, the church was found to be very dilapidated and ill-built, and the architect, J.L. Pearson, was engaged to restore it. The West Tower and North Porch are all that is left of the original structure. After World War 1, Admiral Sir James Goodrich acquired a tin hut, which was placed on land given by Sir Charles Prevost, and this was used until well after World War 2 as the village hall. The present village hall was built in the 1950s on the same site, and funds were raised from a series of events organised by local residents. Evelyn Waugh lived at Piers Court from 1937 to 1955 and was Chairman of the Parish Council for part of that time. The Post Office and Village Shop on The Street closed in 1956 and is now a private house. Kath Hudson's excellent summary of Stinchcombe in World War II is here. You will find further details on Stinchcombe History Society here, recent posts are here.